MANANG, Dec. 4: The mountainous district of Nepal- Manang was filled with joy specially the locals who have long waited for the resumption of flights establishing the life line. 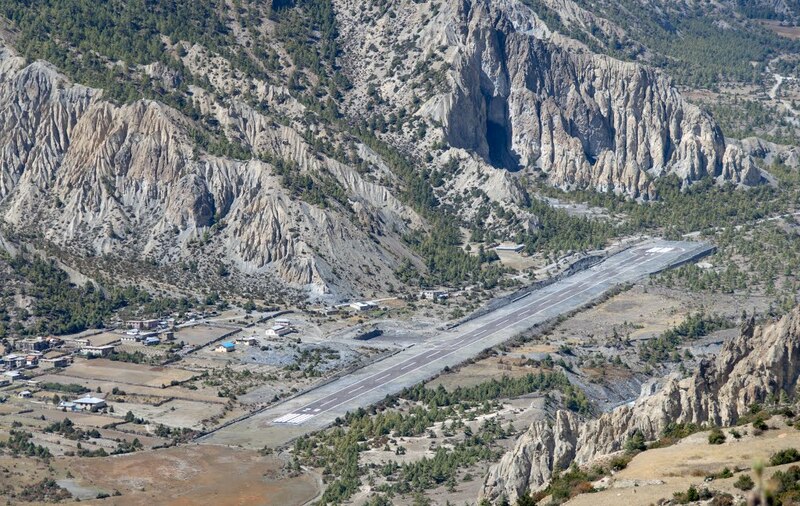 On Monday the Humde Airport in Manang saw the aircraft of Summit Air’s aircraft landing on the airport. “I always use to pray for the arrival of the aircrafts in the airport on daily basis facilitating the people and convincing us about the development which is seen in the district,” Kancha Gurung, a local said. As the aircraft landed on the airport the locals waiting on the edge of the airport swarmed round the craft which was landed on assistance of security official because of the absence of airport officials. The aircraft which landed on Humde Airport had carried 8 foreigners and 2 Nepali nationals and flew to Manang from Kathmandu, later the aircraft returned back to Pokhara. Two years ago the twin-otter of Goma Air have had landed in the airport but this time it was not the commercial flight, it was the flight chartered by WWF for it’s documentary project on Snow Leopard. “The team will remain in the district for Four days which has Finnish researchers accompanied by Nepali,” Tashi R Ghale, the Snow Leopard expert said. The Civil Aviation Authority of Nepal have had allocated 90 million rupees to black top the 6 hundred meters long dusty run way.